The LP MOD-PLUS MARATHON™ is an air-operated adhesive applicator with an in-line filter cartridge to prevent particulate matter from obstructing adhesive flow through the nozzle orifice. Its tapered body allows for uninterrupted flow of cases, making it ideal for case erecting and case sealing applications. The LP Marathon’s™ screw-on nozzle seat also allows for fast and easy nozzle change. Standard in-line filter prevents nozzle clogging. Platinum sensors provide optimum temperature control. 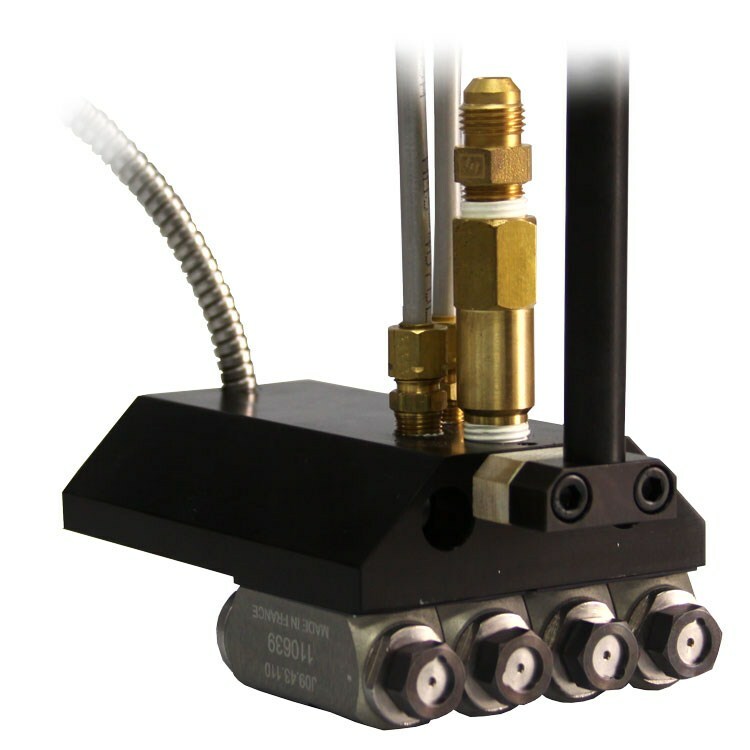 Low-Profile design ideal for case erecting and case sealing applications. Rotating right angle nozzles can be positioned for optimum pattern placement.